NFB Film Club Libraries across Canada take part in this free program in which the National Film Board of Canada (NFB) distributes bold and distinctive social issue documentaries, auteur animation, alternative drama and innovative digital content that provide the world with a unique Canadian perspective. 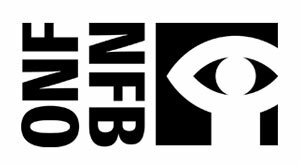 The NFB Film Club is a FREE initiative specifically created for all Public Libraries across the country. NFB Film Club @ the Antigonish Library For more information please contact the library at 902 863-4276. All are welcome to join us for screenings of a National Film Board of Canada documentary film. Bring snacks (peanut-free please), all are welcome! NFB Film Club @ the Pictou Library For more information please contact the library at 902 485-5021. All are welcome to join us for screenings of National Film Board of Canada documentary films. Bring snacks (peanut-free please), all are welcome! In this feature doc, filmmaker Jean Lemire and his crew undertake a five-month, 21,000-kilometre voyage to record the impact of global warming on the Arctic. We watch as the crew navigate a three-masted sailing ship through the legendary Northwest Passage - a treacherous, ice-choked route that has captured the imaginations of great explorers for centuries. This compelling scientific and personal adventure is set against the backdrop of breathtaking northern scenery. Survival is a daily struggle in the Far North, and the Sedna IV's crew face unusually cold weather that makes navigation exceptionally perilous. **Special feature for Heritage Day in February! All welcome to join us, as we celebrate NS Heritage Day, with a movie screening about the 2019 honoree, the world renown artist, Maud Lewis. Alice was 11 when she was raped on her way to school. The Kenyan police would only make an arrest if Alice's stepmother paid them first, so her perpetrator when free. In Kenya, one in three girls will experience sexual violence before age 18, yet police investigations are the exception. But 160 girls, including Alice, banded together with a multinational legal team led by Canadian lawyer Fiona Sampson and Kenyan social worker Mercy Chidi Baidoo and created legal history. In The Girls of Meru, acclaimed filmmaker Andrea Dorfman tells the troubling yet uplifting story of these children and their brave steps towards meaningful equality for girls worldwide. **Special feature during March Break - all are welcome! The unique wildlife that thrives in the Arctic's stark landscape has long captivated our imaginations. Through it's extraordinary footage of polar bears, thick-billed murres, bowhead whales, muskox and caribou, Lords of the Arctic permits us to observe the impact of climate change on the wildlife of the North. The world of the polar bear, a symbol of the Arctic's strength and vulnerability, is tied to the changing seasons of ice and light, and like all life in the Arctic, is directly impacted by climate change. As their home slowly melts away, will they and their unique world disappear as well? For over 4,000 years, the Inuit have lived in harmony with their Arctic environment. In this frozen landscape, survival depends on a deep understanding of the natural world. Today, global warming threatens the very nature of their habitat. As the ice disappears, so does the Inuit culture it is intimately connected to. People of the Ice looks at climate change through the eyes of the Inuit from several generations. Sheila Watt-Cloutier, president of the Inuit Circumpolar Conference, also weighs in on the issue. In Cloutier's view, as the planet heats up, the Inuit must draw on their ancient traditions to survive. Celine Baril's latest film takes us across three continents on a quest driven by a simple yet original idea: to shine a spotlight on the inimitable Davids of this world. The 24 Davids in this film are of varying ages and professions, ranging from cosmologist to recycler; together they construct a playful "ecosystem" of ideas that touches on every sphere of knowledge and carries within it the power to radically transform. 24 Davids offers a melting pot of heady thoughts and politics in a refreshingly freewheeling cinematic format, probing the mysteries of the universe and the challenges of living together. NFB Film Club @ the River John Library For more information please contact the library at 902 351-2599. **Special feature for Heritage Day in February! In anticipation of Nova Scotia Heritage Day, join us for two NFB short films, celebrating the life and works of Nova Scotian artist, Maud Lewis. All are welcome! In this short film, a group of Grade 6 students are inspired by Maud Lewis. With the help of artist Kyle Jackson, they create a folk art painting of their own downtown neighbourhood. Informative, touching and filled with the magic of creation, this film shows both the power and simple pleasure of folk art. Christopher Changes His Name - it's just too common! When Aunt Gail from Trinidad tells him a story about a larger-than-life character called Tiger, Christopher changes his name to Tiger. But then he finds a better name... When he has trouble cashing Aunt Gail's birthday cheque made out to Christopher Mulamba, he realizes how special his name truly is. Maybe he could stick with it... or maybe not! Journey to Justice pays tribute to a group of Canadians who took racism to court. They are Canada's unsung heroes in the fight for Black rights. Focusing on the 1930's to the 1950's, this film documents the struggle of six people who refused to accept inequality. Inuit artist Asinnajaq plunges into a sublime imaginary universe - 14 minutes of luminescent, archive-inspired cinema that recast the present, past and future of her people in a radiant new light. In the spirit of the 1949 NFB classic How to Build an Igloo, this film records Dean Ittuksarjuat as he constructs the traditional Inuit home. In the vastness of northern Quebec, on the edge of the Arctic Ocean, lies the village of Kangirsujuaq in Nunavik. Here, tradition and modernity intersect on a daily basis. Teenagers lap up "southern" culture and play golf on the tundra. Their elders - many of them former nomads and hunters - are trying to get used to the strange feeling of staying put. Elisapie Isaac, born in Nunavik, decides to return to her roots on this breathtaking land. Above all, she asks the fundamental question: Can Inuit culture survive in the modern world? NFB Film Club @ the Westville Library For more information please contact the library at 902 396-5022. **Special feature for Heritage Day in February! In anticipation of Nova Scotia Heritage Day, join us for an NFB short film celebrating the life and works of Nova Scotian artist, Maud Lewis. All are welcome! NFB Film Club @ the New Glasgow Library For more information please contact the library at 902 752-8233. For more information on this program, please contact the branch library or our Programming Department at 902 755-6031.